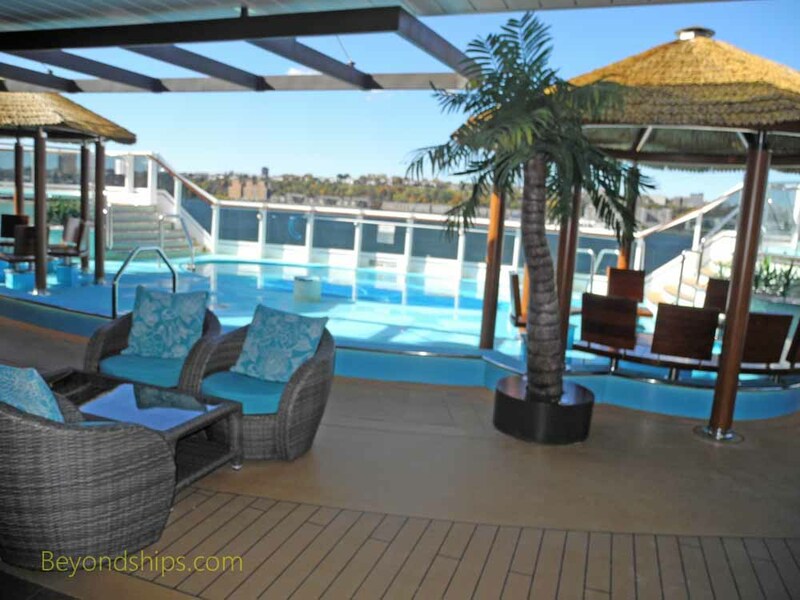 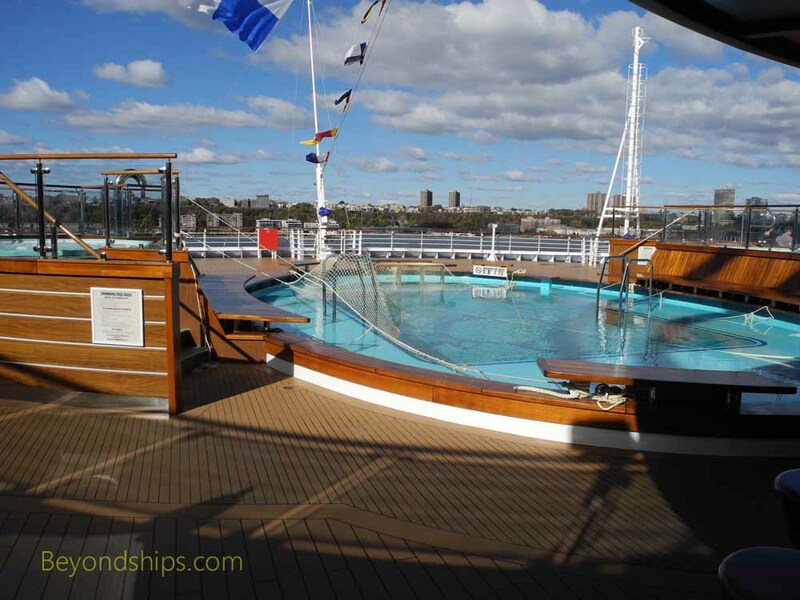 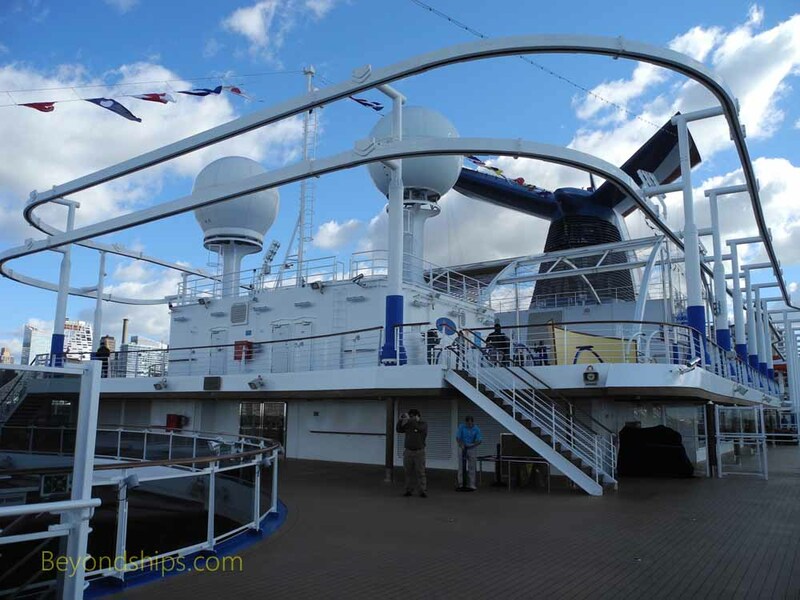 The main pool area is amidships and includes the pool and two whirlpools. 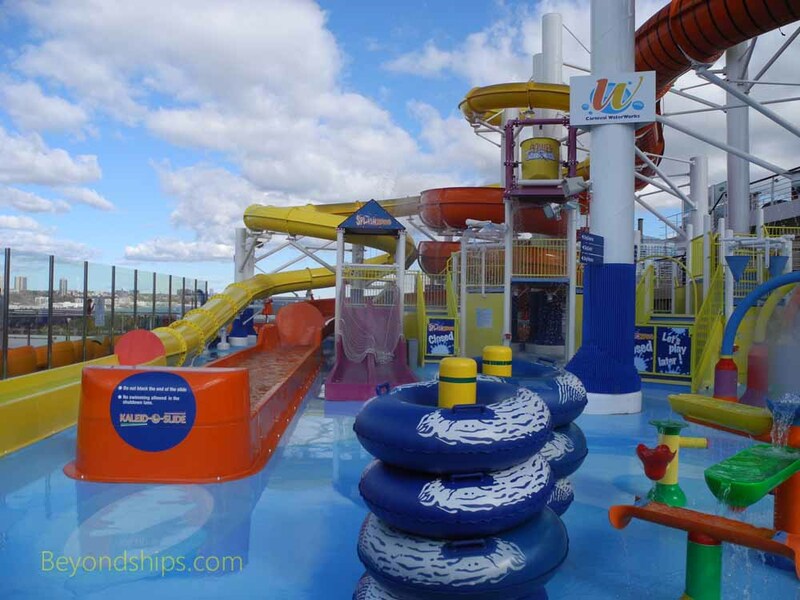 It also has two bars, Guy's Burger Joint and the Blue Iguana. 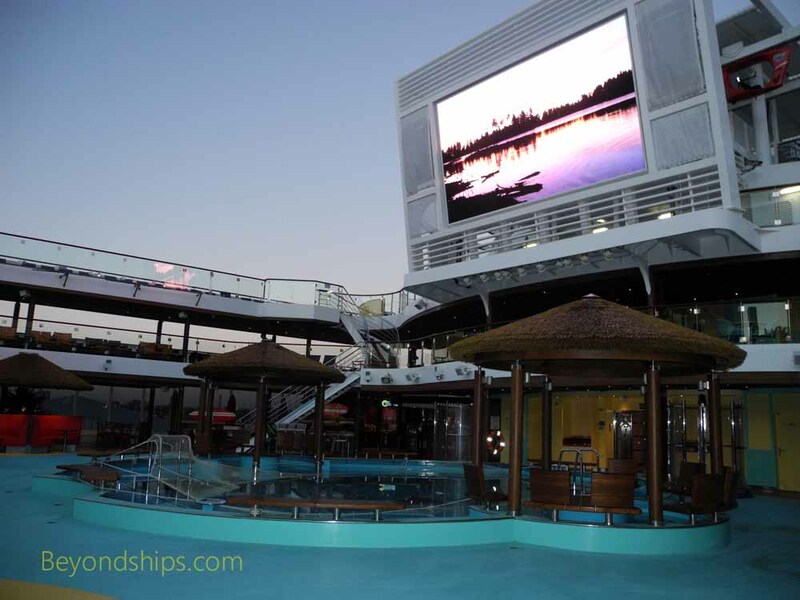 A giant video screen aft plays movies and other video programming. 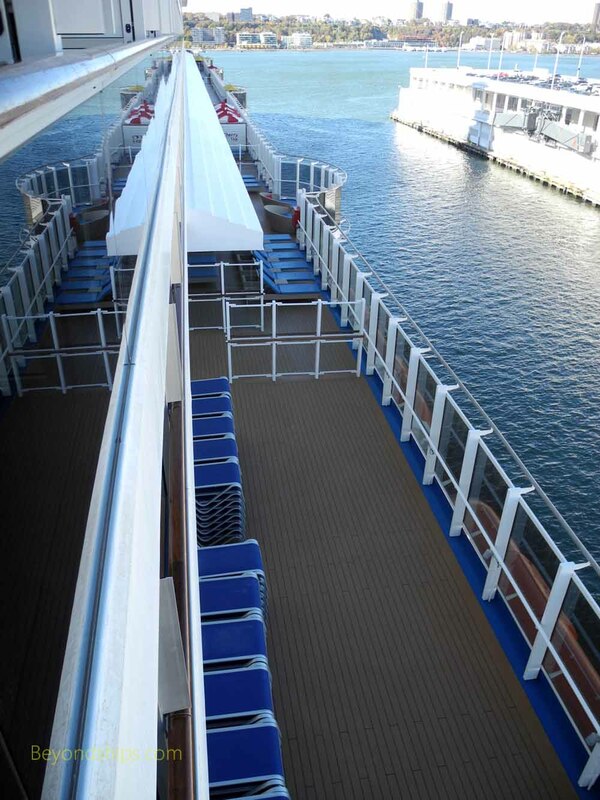 The Tides Pool is all the way aft on the same deck as the main pool area. 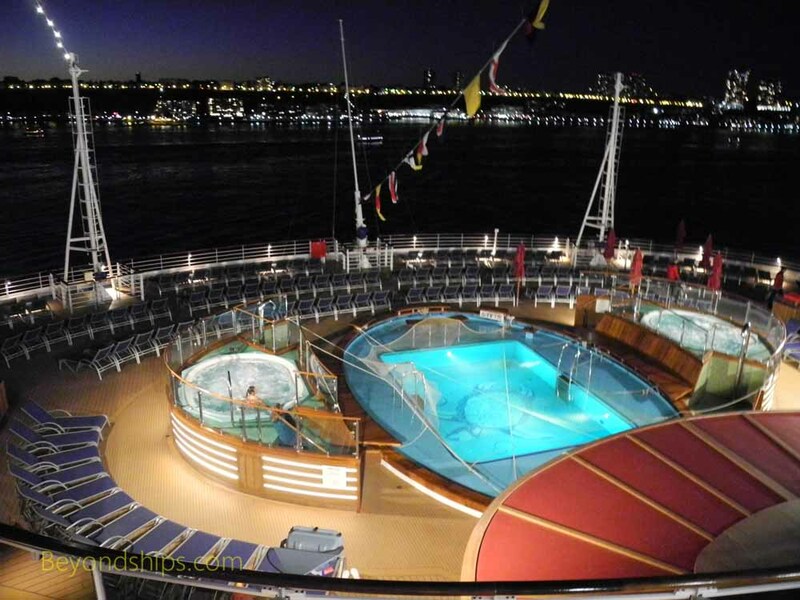 In addition to the pool, there are two large whielpools. 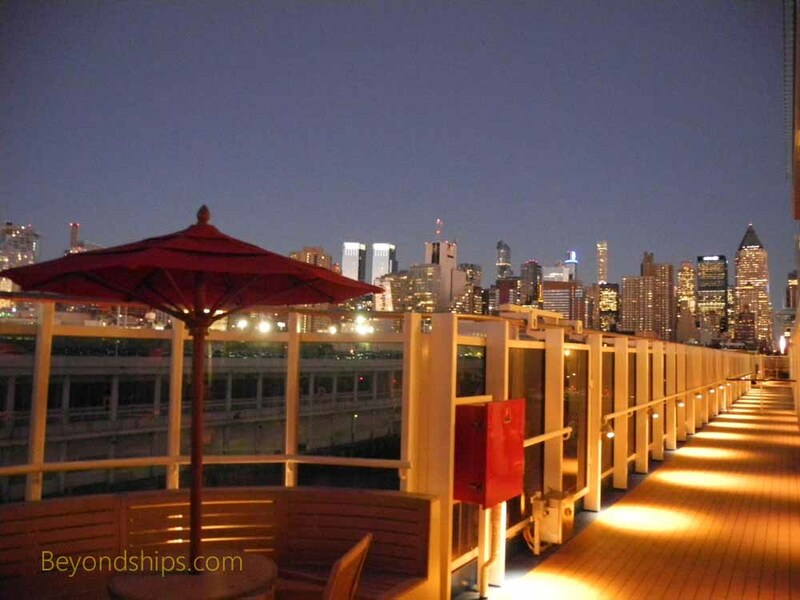 Nearby are a bar, the pizzeria and a casual seafood venue, the Seafood Shack. 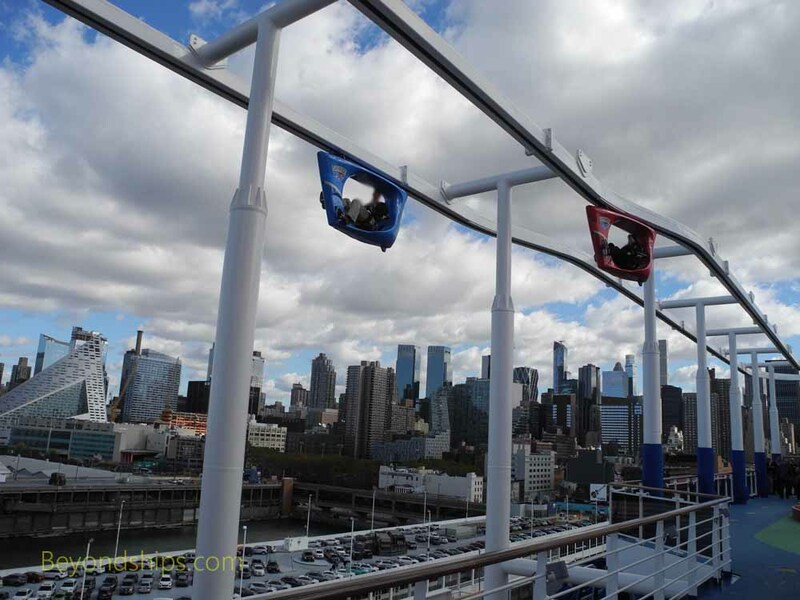 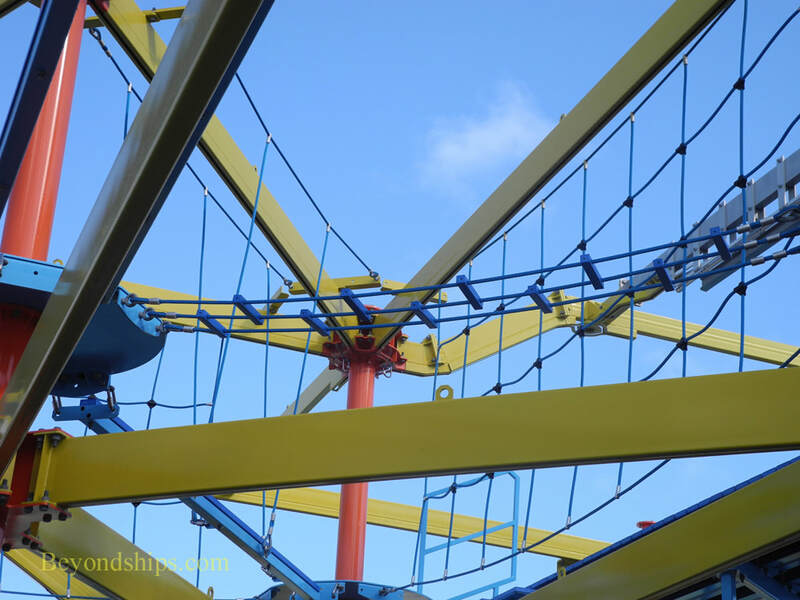 ​Below and right: The Ropes Course is a circuit in which guests climb over various obstacles high above the deck. 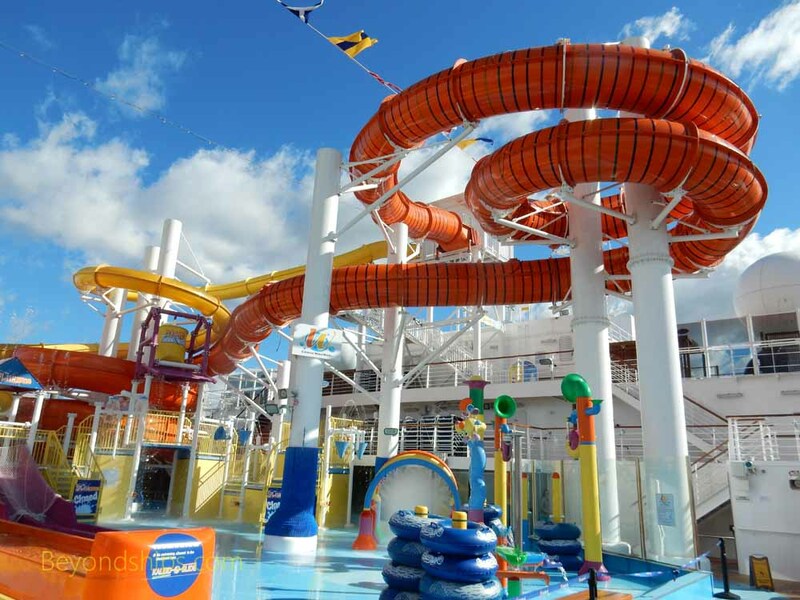 ​Above: The Water Park features slides as well as features that stream or pour water. 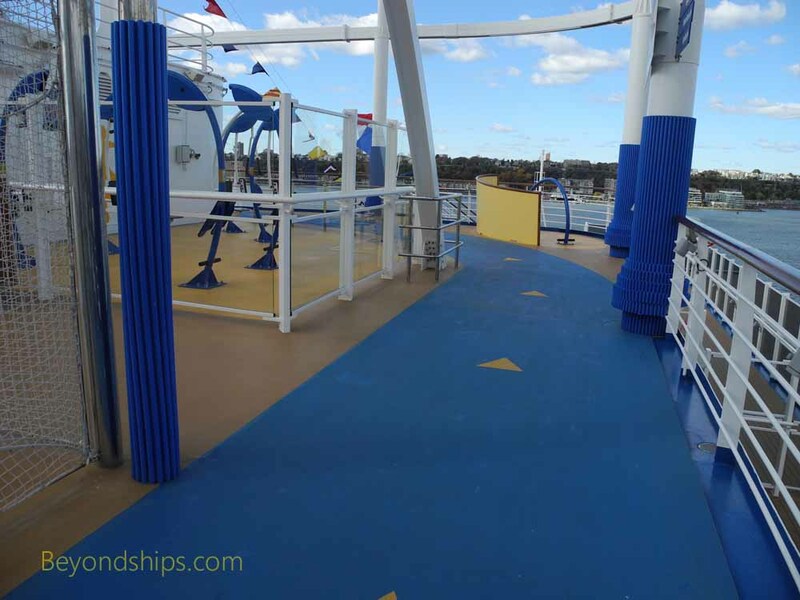 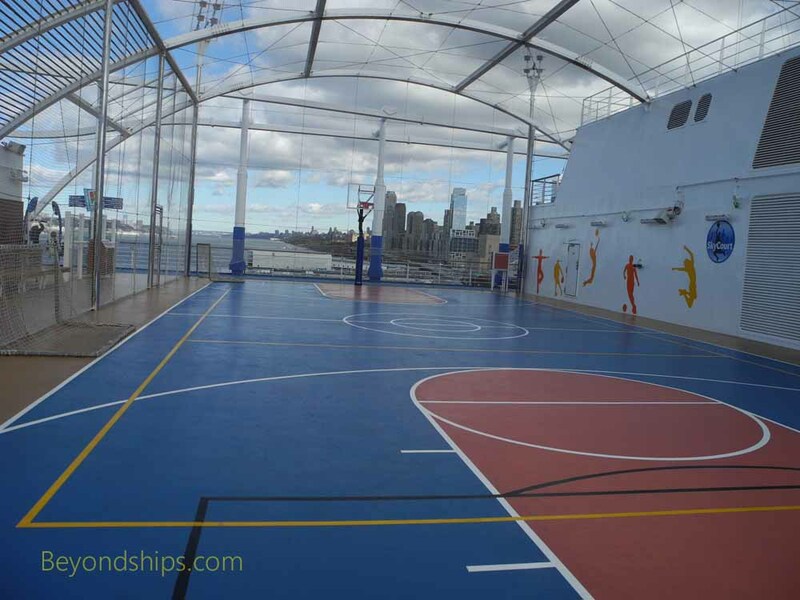 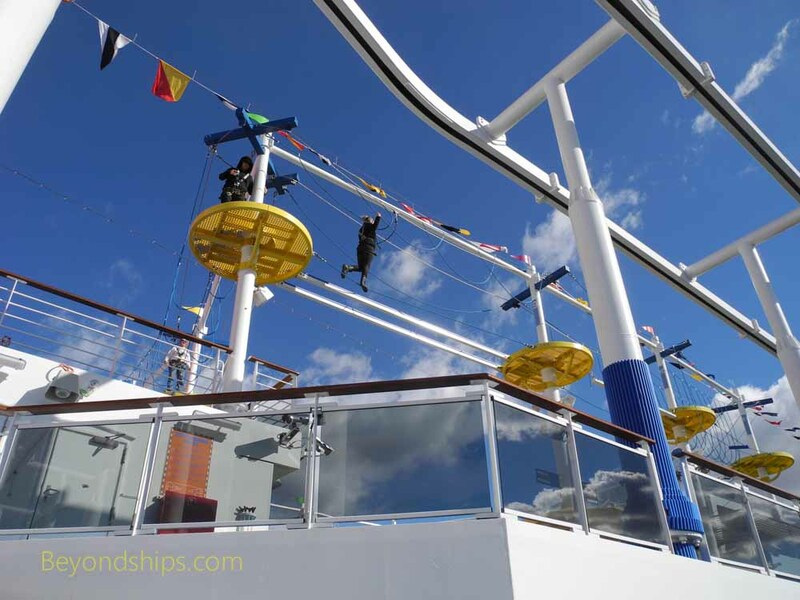 ​The Lanai is an outdoor promenade, which wraps around the ship on Deck 5. 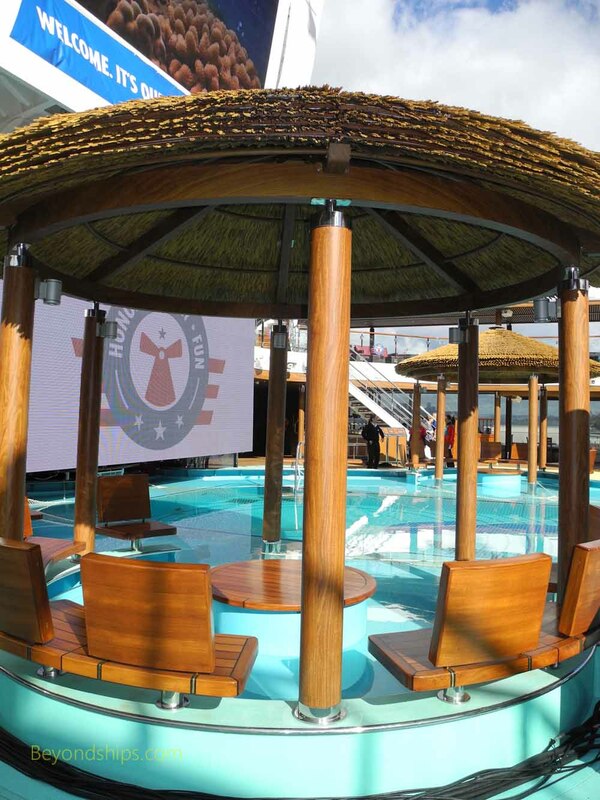 This concept has been developed since it premiered on Carnival Dream so that the Lanai now has outdoor seating for several restaurants and bars. 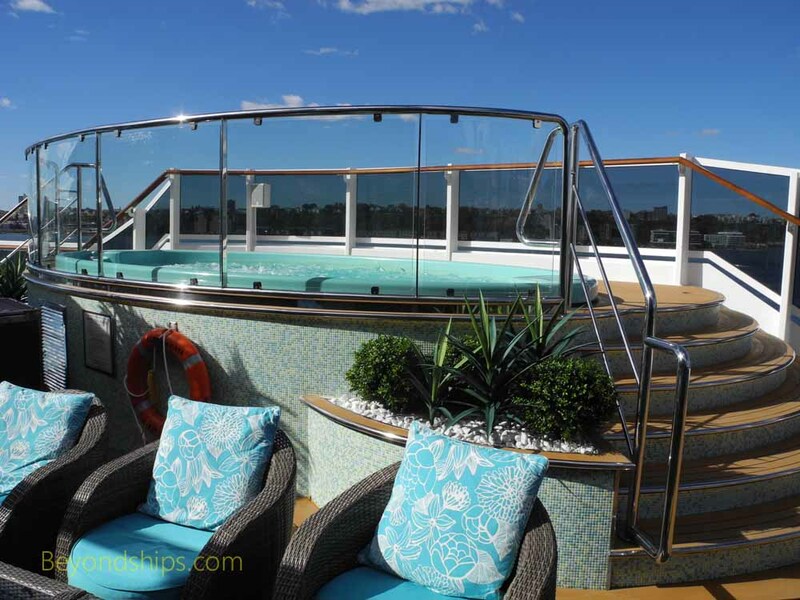 Also, part of the Lanai is reserved exclusively for guests staying in the Havana staterooms and suites. 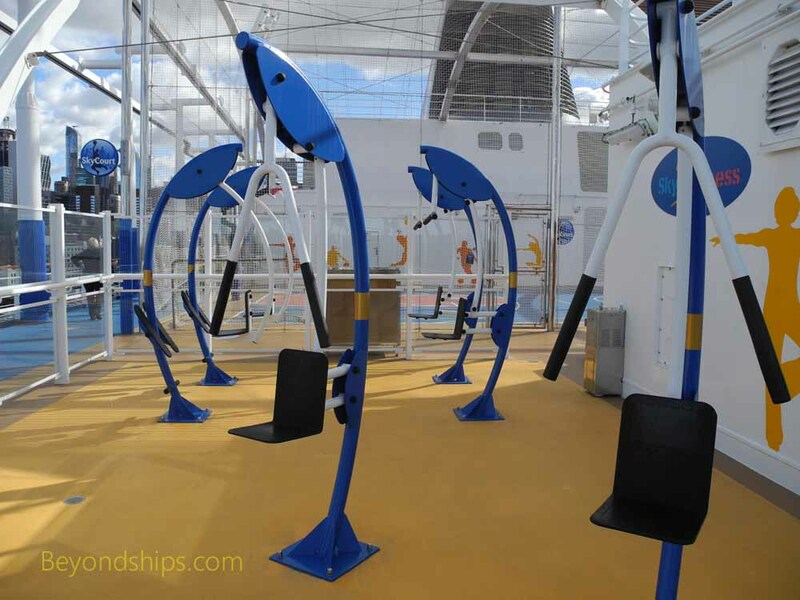 As a result, other passengers cannot walk the whole 360 degree circumferance of the ship.